we also discussed about the various tasks related to building Home Lab Part1, Part 2, Part 3,Part 4 Part 5. 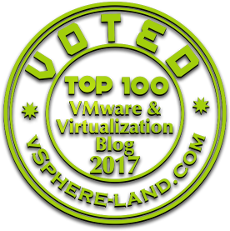 I Recently had to rebuild my Home Lab due to some recent hardware changes and now when the lab is up and running thought of dedicating an article talking about Storage DRS which is another important feature available in VMware vSphere but before we proceed and understand how can we enable it and what are the features provided let's have a quick overview. 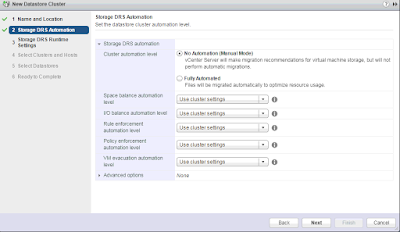 Storage DRS can be enabled on datastore cluster where we can add multiple datastore which work together to balance capacity and I/O Latency, but before we enable SDRS we need to ensure that all the datastore which are running in a cluster are either NFS or VMFS and are mounted to ESXi5.0 and later. 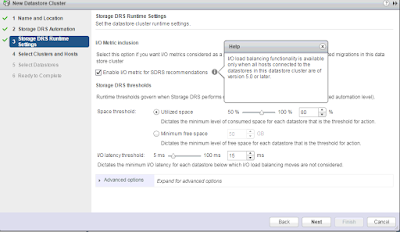 Storage DRS Cluster and Host DRS cluster (Host HA Cluster and Host DRS Cluster) can coexist in the environment wherein the load balancing for your compute resources taken care by Host DRS and load balancing for storage capacity / I/O latency taken care by Storage DRS can occur at the same time. 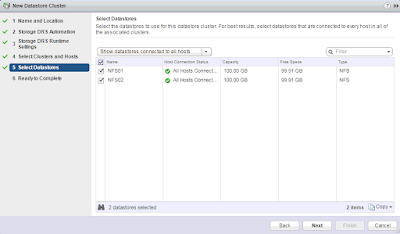 VMware vSphere Storage DRS works in pretty much the same fashion as Host DRS and helps us to initially place the Virtual Machines based on the storage capacity and I/o Latency to the respective datastore and make use of storage vMotion to balance load across the datastore which are part of the datastore cluster. 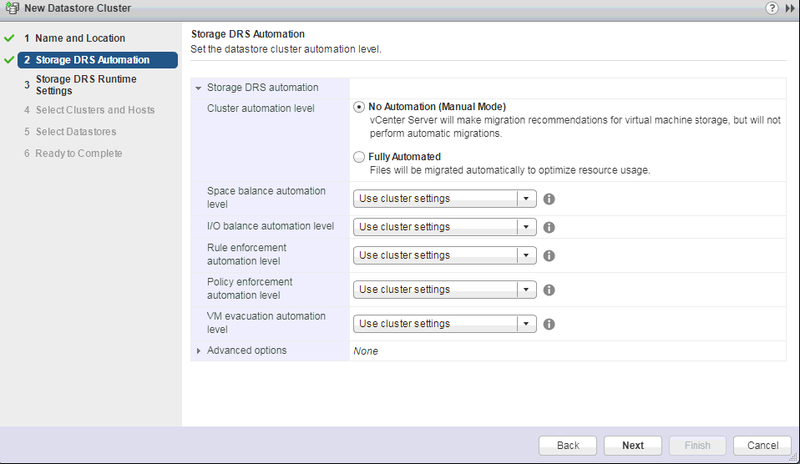 While Creating the SDRS cluster we can choose Manual Mode where vCenter Server generates recommendations for Virtual Machine Storage Migrations but won't perform any actions however when Fully Automated mode is selected the Virtual Machines Files will migrated automatically and we can also make us of Anti affinity and Affinity rules to stop/allow the Virtual machine disk to be migrated to different datastore. Initial disk placement option comes pretty much handy at the time we are creating, cloning or migrating a Virtual Machine and instead of selecting the single datastore we select the Datastore Cluster and Storage DRS decides which datastore to be used for initial placement of the Virtual Machine Disks based on the storage usage. All other options available including Space Balance Automation Level / I/O Balance Automation Level / Rule Enforcement Automation Level / Policy Enforcement Automation level and VM Evacuation Automation Level can be adjusted accordingly using Manual Mode or Fully Automated Mode. 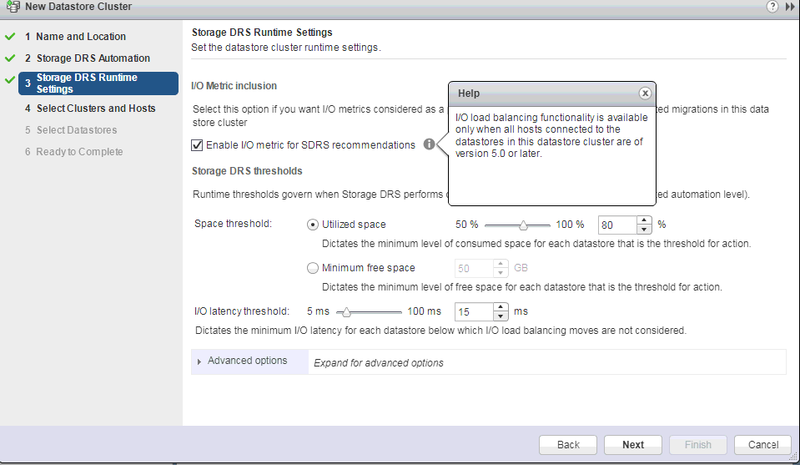 Next option in the list is option either can be enabled but when disabled beware that vCenter Server doesn't consider I/O metrics when making any Storage DRS recommendations and also the initial placement of Disks would happen based on space and I/O metrics wouldn't be considered. We can also specify the space threshold based on the Utilized Space or Minimum Free space and I/O latency threshold by specifying the minimum I/O Latency for each datastore. 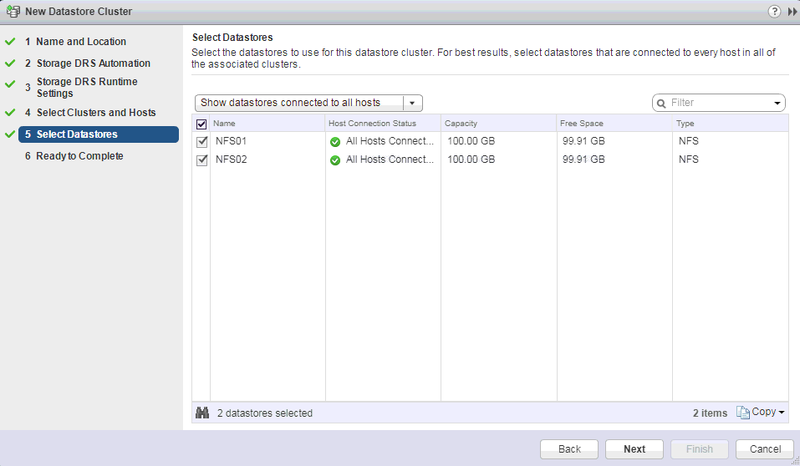 Next options on the list are pretty straightforward wherein we have to select Cluster/Host and the datastore that we are planning to be part of this datastore cluster, I recently created two NFS datastore for both my ESXi so used them.